The implications of this are huge. You don’t get a seat at the table if the buyer doesn’t think you can deliver or that you don’t really care enough about the project or the outcomes. You don’t get in the door if the prospect doesn’t believe you care about their industry, their company, and their clients. You don’t get anyone to return your calls if the person on the other end doesn’t believe you’re relevant. How, you ask, do sales professionals ensure that they can exhibit the sincerity required to navigate the demands of a long-term sales career and be welcomed – to conversation, to strategize, and to propose? Training or experience won’t develop that sincerity– but if they want to be successful over the long term – THEY MUST. So, here’s an axiom for your sales people and their managers: You have to work on yourself! As a professional you can’t rely on your resume or recommendations to get a job, get in the door or, least of all, to get the trust of your customers. In addition to knowing and believing where you’ve been and what you’ve done, the company you represent and how great your offer is, customers need to connect with you. You must work on being trustworthy. You need to speak about yourself and your offer from a place of transparency, understanding, and care for the people you want to help succeed. If you want to get started – do a self-diagnosis by taking out your most recent written bio. Shake off the dust, chuckle at the picture and read it to the mirror. How do the words affect you? Where do you stumble? Pause? Hesitate? 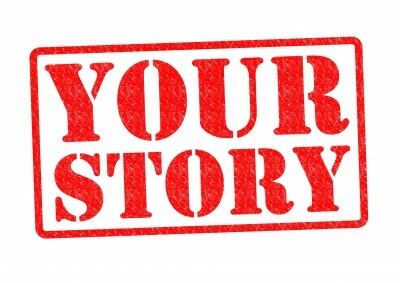 Ask yourself what needs to change to powerfully tell your story, succinctly and with relevance, to enable you to authentically be your own bio and connect with every prospect – powering yourself to trustworthy, long term relationships. Barbara Hauser and Stephen Heffernan, are coaches certified by the Coaching Excellence in Organizations (CEO) Program at The Institute for Generative Leadership and Newfield Network. In addition to being an Adventace® associate for approximately a decade, Barbara helps leaders resolve tough challenges by adopting new leadership practices. She has served businesses in the US and Latin America for the past 20 years as a trainer and organizational coach. Barbara’s focus is on moving action forward, one conversation at a time. Stephen consults trains and coaches leaders and their teams to be successful with executing strategy or organizational effectiveness initiatives. He has worked internationally on projects for over 25 years and has learned that team culture, leadership and conversation are always decisive. You can find out more about their recent work on bios at globaltelepractice.wordpress.com.